A major update of Emulicious got released! The Cragg Lake bonuslevel is now split from the Cragg Lake level. and its layout can now be converted to other layouts like with other levels. became obsolete now and got removed. A bug in the hack „Use Mega Drive start button for pause“ got fixed. If you had applied this hack before just apply it again to incorporate the bugfix. at the bottom of the Text Editor. The Text Editor has been extended by a free text editor that allows you to control the whole shape of text boxes via control sequences. The Tileset Editor has been enhanced to allow adding/removing level additional and main tilesets. Furthermore, level main tilesets can now also be used as level additional tilesets. The Whats New file has been added to the project to let you keep track on what’s new more easily. An update for Emulicious is available. 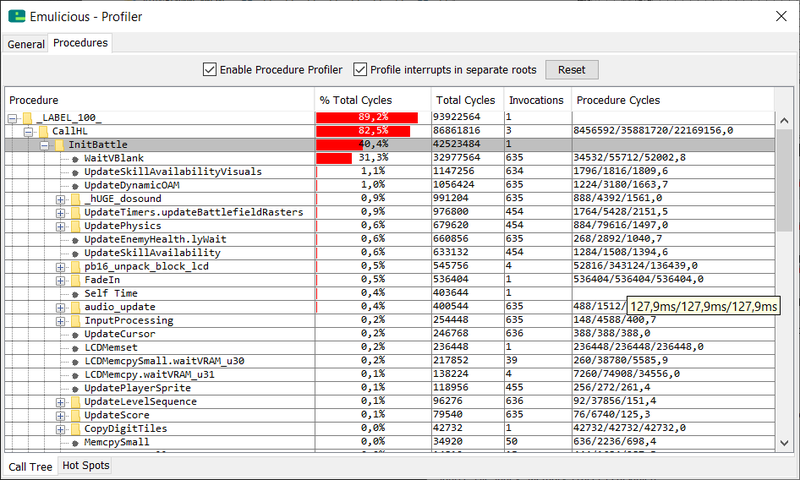 A procedure profiler has been added. 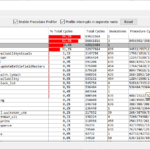 It detects procedures automatically and profiles them. the prefix ’s‘ so entering „s0“ would add an SRAM watchpoint on the SRAM address 0. Support for the new format of z88dk map files has been added. An update of Emulicious is available. It improves the emulation accuracy of the Everdrive and comes with several minor improvements. A small update of Emulicious is available. so entering „v0“ would add a VRAM watchpoint on the VRAM address 0. The WhatsNew.txt file has been added to the project to let you keep track on what’s new more easily.